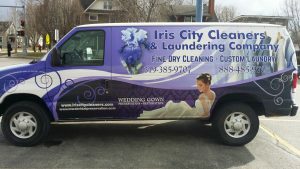 Professional Wet Cleaning is an important and increasingly popular service offered by Iris City Cleaners and Laundering Company. Now there is choice in the selection of technology used in cleaning our customers textile items. That choice includes traditional solvent based methods, ultrasonic cleaning, steam cleaning, hand washing, and wet cleaning. Professional Wet Cleaning is an aqueous process for cleaning a full range of garments using state of the art technology, biodegradable detergents and additives, followed by appropriate drying and restorative finishing procedures. Professional wet cleaning is an important and increasingly popular service offered by Iris City Cleaners for the solvent-free care of garments. Professional wet cleaning requires specialized equipment, skills and training to safely clean in water, those garments previously cleaned in chemical solvents. Professional wet cleaning requires a range of techniques and technologies such as computercontrolled washers and dryers, the use of special soaps and conditioners, and knowledge of fabrics and fibers. The benefits of wet cleaning include: no chemical smell, whiter whites, easier to remove waterbased stains and some items come out cleaner. The concerns about wet cleaning, on the other hand, are that it can shrink some garments, can cause color change and is more difficult to remove grease-based stains. The environmental benefits are considerable. With wet cleaning, there is no hazardous chemical use, no air pollution, and no water or soil contamination. The only environmental concern is an increased use of water. With wet cleaning, a larger portion of the cost of clothes cleaning goes to pay employees, rather than for producing chemicals and disposing of hazardous waste. Wet cleaners, however, may charge more for some items to cover the increased labor in pressing and finishing. Appropriate types of clothes to wet clean include cottons, wools, silks, leathers, suedes, wedding gowns, and beaded and sequined garments. Some acetate linings and highly structured (tailored) garments can be difficult to wet clean. Antique satins and gabardines should not be wet cleaned. While most textiles can be effectively cleaned by this method, specialized finishing equipment, often known as European Finishing equipment is required to enable some fibers to tension back to a natural state of relaxation with the use of tension and steam. 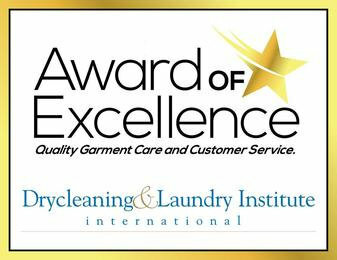 Although most clothes cleaners have the capacity to wet clean some garments, professional wet cleaning involves special equipment, knowledge and skill. Wet cleaning today has become broadly accepted in the fabricare industry and increasingly popular with consumers. Today's choice includes traditional solvent based methods, ultrasonic cleaning, steam cleaning, hand washing, and wet cleaning.